NSS presented its Wernher von Braun to the Mars Science Laboratory (Curiosity) Rover and Science Team. The von Braun Award recognizes the team’s success in conducting highly significant science operations on Mars including drillings at multiple sites in Gale crater. 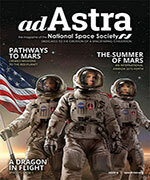 Results include discovery of two different ancient aqueous environments on Mars. The rover has also found low but variable levels of atmospheric methane, which contributes to the understanding of the Mars atmosphere. In addition, measurements of background radiation taken by the rover contribute to management of hazards for future human explorers. 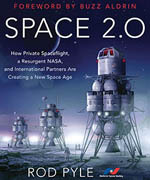 NSS presented its Space Pioneer Award for Mass Media to NBC space news correspondent Jay Barbree. Jay Barbree is a reporter, correspondent, and writer. He began reporting on space issues just after Sputnik in 1957. He paid his own way to Cape Canaveral to observe the ill-fated launch of Vanguard 1. On July 21, 1958, he began work for NBC, where he still works today. 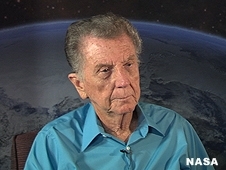 Barbree is the only reporter to have attended every single manned launch in the USA, from Alan Shepard in 1961 to the final Space Shuttle flight in 2011. He is also the author or co-author of eight books, the latest of which is Neil Armstrong (2014). Barbree’s exemplary, fact-based reporting has helped the public and the space community better understand our space program. 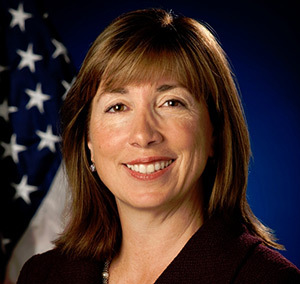 NSS presented its Space Pioneer Award for Non-Legislative Government Service to former NASA Deputy Administrator Lori Garver. Lori has served two terms of service with NASA, the first from 1996-2001 when she served as Associate Administrator of the Office of Policy and Plans. In 2008-2009, she served as the head of the Presidential Transition Agency Review Team for NASA. She became the Deputy Administrator of NASA in July, 2009. During her term as Deputy Administrator, she steadfastly supported the areas of launch privatization and new technology development that will allow more effective human space operations both in low Earth orbit and beyond. Since her departure from NASA in September, 2013, she has remained outspoken in her support for launch privatization, and about how space can be used for the benefit of and the economic expansion of mankind. She is currently the General Manager of the Airline Pilots Association, International. NSS presented its Space Pioneer Award for Science and Engineering to European Space Agency (ESA) Rosetta mission team. The Rosetta Mission, underway for over a decade, has scored two historic science firsts: (1) the Rosetta spacecraft went into close orbit around a comet (67P/Churyumov-Gerasimenko) on August 6, 2014, and (2) the Philae lander landed on the comet and provided data transmitted from its surface. The two vehicles have provided abundant data that will help characterize the geology and chemistry of the comet. Rosetta will also monitor the evolution of the phases of the comet during and past its perihelion. This will be the first time in human history that such details of a comet’s behavior have been closely observed. The fact that the comet resembles a contact binary adds to the interest created by the amazing photographs the mission has provided, showing a wide variety of surface features. Mission Manager Fred Jansen and Project Scientist Matt Taylor head the great team of engineers and scientists who carried out this European Space Agency mission. 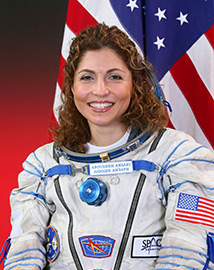 NSS presented its Space Pioneer Award for Service to the Space Community to Anousheh Ansari. Anousheh has been a major contributor to the X-Prize Foundation which made her a driving force in the commercialization of the space sector. She is the first female private space explorer, providing an inspirational story that has made her mark in history. Ansari’s accomplishments as a serial entrepreneur, innovator, and humanitarian have been an inspiration to communities and individuals across the globe, especially young girls. Ansari acts as a Space Ambassador promoting the benefits of space exploration to humankind, and also as a role model for global causes including social entrepreneurship, peace and understanding among nations, and inspiring the young generation to pursue their dreams and build a better future for all. 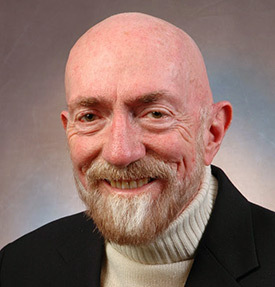 NSS presented its Space Pioneer Award for Mass Media to Dr. Kip Thorne. Dr. Thorne has had a very long and distinguished career as a physicist, Caltech physics professor, and author. Physics is the bedrock of space science, and what he has taught is vital to professionals working in the space community. Dr. Thorne co-authored the landmark physics textbook Gravitation. He held the position of the Feynman Professor of Theoretical Physics at Caltech from 1991 to 2009, when he left the position to work outside of the university. His work in the movie Interstellar is one of the results. Dr. Thorne is good friends with world-famous physicist Stephen Hawking, prior recipient of the National Space Society’s prestigious Heinlein Award. NSS presented its Space Pioneer Award for Science and Engineering to the Indian Space Research Organization (ISRO) Mars Orbiter Programme Team. 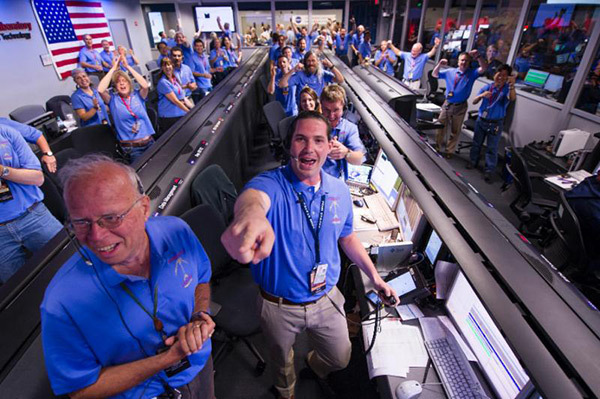 The mission was launched on November 5, 2013 and went into Mars orbit on September 24, 2014. This mission has achieved two significant mission firsts. 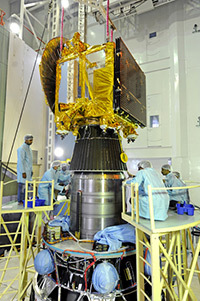 (1) An Indian spacecraft has gone into orbit around Mars on the very first try. No other country has ever done this. (2) The spacecraft is in an elliptical orbit with a high apoapsis, and has a high resolution camera which is taking full-disk color imagery of Mars. Very few full disk images have ever been taken in the past, mostly on approach to the planet, as most imaging is done looking straight down in mapping mode. These images will aid planetary scientists. The Mars Orbiter programme team located in Bangalore, India, is headed by Dr. Mylswamy Annadurai. The Space Activist of the Year Award for 2015 was presented to Bruce Pittman.